Investing in rental properties can be a great move for those that take the time to do it right. That said, it’s not enough to simply jump in without doing your homework; you have to put in some legwork if you want to realize the incredible benefits associated with investing in rental properties. 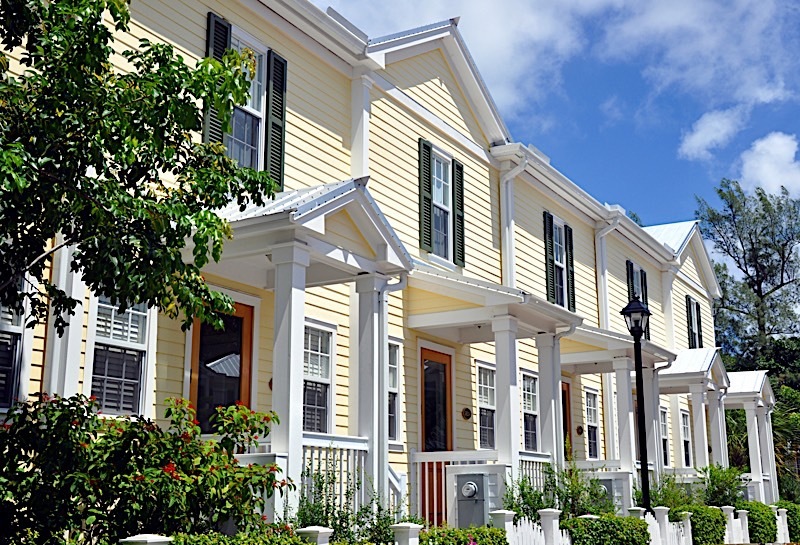 How Do You know If A Rental Property Is A Good Investment? There are several factors that go into determining whether or not a rental property is a good investment, but there is one factor that takes precedence over just about everything else: cash flow. Otherwise known as the money you are able to pocket each month, cash flow represents the capital you are left with once you have paid all of the expenses associated with owning a rental property (mortgage, utilities, HOA fees, etc.). That said, let the numbers do the talking. It should be your number one priority to find a home that you can rent for more each month than it costs to maintain it. Not only that, but the rent should be slightly higher than your expenses (because you want to make a profit), which begs the question: how much more should you charge in rent than you are paying in expenses? Quite simply, the amount you charge in rent should be a percentage of your home’s market value. Perhaps even more specifically, most landlords charge somewhere in the neighborhood of one percent of the home’s value. For example, for a home valued at $250,000, a landlord could charge between $2,000 and $2,750 each month. Take one percent of the homes value and compare it to the mortgage you would take on. If the property is cash flowing, you may have a good deal on your hands. If not, you may need to look elsewhere. Location, Location, Location: When all is said and done, the location of a rental property is the one thing you can’t change about a property. That said, it’s in your best interest to identify a location before you even look at a property. Mind due diligence and conduct research on an area before you consider making a purchase. What construction projects are already planned? Are there good schools nearby? Is it in an area growing in popularity? At the very least, make sure you are comfortable with a home’s location before adding it to your portfolio. Don’t Spread Yourself Too Thin: And by that I mean starting off small. If you are looking to invest in your first property, try not to get in over your head before you even collect your first rent check. Start with a small home with good spreads to learn the ropes before you graduate to something like a commercial property. Doing so will allow you to learn the ins and outs of the exit strategy, and ultimately improve your ability to invest in future projects. Listen To The Numbers: The numbers, otherwise known as the deals pricing indicators, are the single most important thing to consider when deciding to purchase a rental property. It’s the numbers, after all, that will serve as the most unbiased view of a property and its potential. Don’t assume the numbers people tell you are correct. Do your own research and confirm them for yourself. Once you have done that, confirm them again. You can never be too careful. Refrain From Over-Improving The Home: Far too many no rental property investors get caught up in the idea of providing the best product for prospective renters. After all, the best way to avoid vacancies is to offer a product that people want at a price they are comfortable with. However, there is a fine line between what people want and what you should give them. While I maintain that you should offer a quality product, you need to keep it in line with the area. It is entirely possible to make a property “too good” for a certain locale. That said, refrain from making too many costly improvements. You could find yourself priced out of the local market. Since people will use comparables to judge whether or not your rent is worth it, you want to keep your own property more in line with those around it, only slightly better — not leaps and bounds better. Screen Tenants Well: This one speaks for itself. A good rental property is only as good as the tenants inhabiting it. Be sure that the tenants you place in your home are a good fit for what you hope to accomplish. Investing in rental property tips can range from the utterly useless to the invaluable. However, these tips represent some universal truths; they should be included in everyone’s strategy, no matter what. Cash Flow: As the single most popular reason for investing in buy and hold properties, cash flow represents the difference in money coming in and the money going out. In other words, it is what you end up with after paying all of your expenses (not the least of which include your mortgage, property taxes, utilities and other miscellaneous expenditures). Say, for example, you have a rental property bringing in $1,500 a month and your expenses are somewhere in the neighborhood of $900 a month. The $600 difference represents a positive cash flow and, perhaps even more importantly, the key to becoming truly wealthy. What’s more, rents are historically high across the country, making the prospects of rental properties even more attractive. Asking rents are tipping the scales in favor of today’s passive income investors. Appreciation: Second only to the actual cash flow generated by a rental property, appreciation is a great way to profit as a passive income investor. The growth in value of your asset can really contribute to your bottom line over the lifespan of a property. That said, appreciation is in no way guaranteed. While homes tend to appreciate more often than not, appreciation should be seen as “the icing on the cake,” and never expected. In the event a home does appreciate, however, rental property owners could be in for a nice surprise. Loan Amortization: Amortization is a fancy way of saying that you are going to pay back a loan over a predetermined period of time. That said, savvy rental property owners — and I would assume every rental property owner — aren’t the ones paying down the loan. If they play their cards right, passive income investors will actually be able to pay their original loan using the rent they collect from tenants. Think about it; it’s entirely possible to pay down your mortgage using other people’s money. In doing so, you’ll benefit from positive cash flow every month (if you invested wisely) and build equity in a property without spending any of your own money. Before you know it, you’ll own the property free and clear. Tax Shelter: Unbeknownst to many new investors, rental properties are actually a great tax shelter. Thanks, in large part to rental property depreciation (or phantom losses), savvy investors can actually decrease their tax obligations come tax time. The powers that be (the I.R.S.) actually allow qualifying property owners to write off a portion of the cost of the asset each year for 27.5 years. Passive Income: Last, but certainly not least, is the concept of passive income. As its name suggests, passive income is just that: passive. It is entirely possible to sit back and collect rent checks without doing anything — that is if you have established a sturdy foundation ahead of time. With the help of a third party property manager, you won’t have to lift a finger. And while their services come at a price, I can assure you it’s well worth it. With the help of a property manager, you are free to add more properties to your portfolio without adding to your workload. Retirement Vehicle: It should go without saying, but the passive nature of a properly built rental portfolio is — in my opinion — the single greatest retirement vehicle. You see, most people don’t have enough of a retirement savings to live comfortable once they do actually stop working. Therefore, it only makes sense to supplement their golden years with more, and a passive income portfolio could do just that. The benefits of owning a rental property are as numerous as they are great. However, it’s those I hit on above that draw more investors into the passive income market more than anything else. Rental property pros and cons, not unlike just about every other exit strategy, are subject to everyday semantics. In other words, there are investors that will hate rental properties for the same reasons others cherish them. That said, I am convinced the pros greatly outweigh the cons. For starters, owning and operating a rental property portfolio can be done passively. That means you can benefit from positive cash flow and appreciation without actually doing anything. Of course, for rental property investing to be considered truly passive, you must first establish a foundation, but that’s a small price to pay for the long-term benefits it has become synonymous with. Perhaps even more importantly, however, it’s the passive nature of buy and hold investments (combined with the help of a third party property manager) that make rentals the end game for most investors. You see, when you can continue to add to your portfolio without increasing the workload for yourself, it stands to reason you’ll be able to build a lot more wealth overtime. Of course, not everyone has the patience to consider investing in rental properties. Therein lies one of the “arguments” against buy and hold exit strategies: they are inherently long-term. Some investors would rather flip and profit from a property in a matter of months instead of playing the waiting game. It’s not enough to simply jump in without doing your homework; you have to put in some legwork if you want to realize the incredible benefits associated with investing in rental properties. There are a number of tips you need to keep in mind when investing passively. Buy and hold real estate remains one of the best retirement vehicles in today’s marketplace.